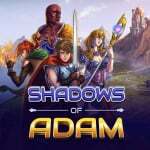 Featuring a, "unique fast-paced battle system"
Circle Entertainment and developer Something Classic Games have revealed SNES-esque RPG Shadows of Adam will be making its way onto Nintendo Switch. Previously released on PC, Mac and Linux, the game will make its console debut on Switch, featuring, "a compelling story, a unique fast-paced battle system and modernized visuals for a beloved genre." You'll get to play as four main characters (Asrael, Kellan, Curtis and Talon) in a deep, story-driven experience, with combat built around a compelling strategic AP management battle system. The cool selling point here is how you can actively restore AP between rounds of battle automatically and by defeating enemies. Looking at some screenshots doesn't look too bad, might be worth checking out. I like how the monsters you fight are much bigger than your tiny sprite characters lol. I missed the kickstarter, but it's gotten good reviews on Steam. Might be worth grabbing on Switch. I would like to get that OST though. Nice headline. Hard to read. 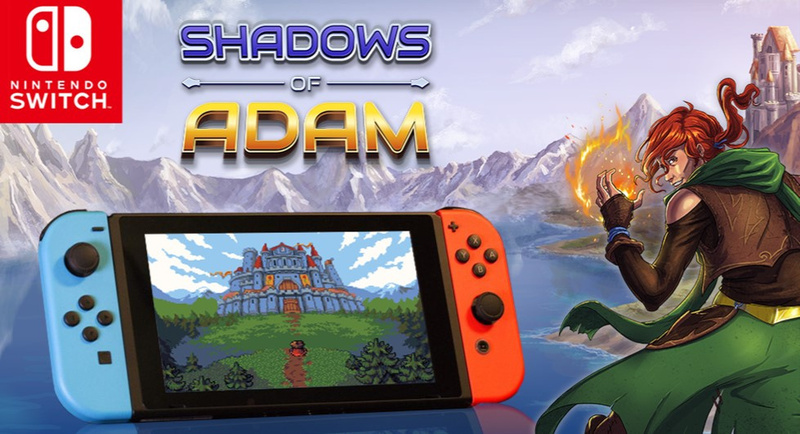 The Stylised Battles Of a Game of RPG Persians By the Name Of Shadows Of Adam To Release On A System By The Name Of Switch Released By The Fine People Of Nintendo. Seems nice, probably will try at a later date. The game now has my attention. Just goes to show how games can get lost in Steam. This game's been out for a while now and I am only just now finding out about it?? And the reviews seem to be very positive. Not even kidding (and to be honest no offense intended)- however I have a bit of a game going with myself - I try to spot headlines that I think are for an article by Dom - So far I have a 100% hit rate over the last couple of months, I almost can’t believe it! - always weird grammar or a mistake or just some strange wording that makes me think ‘yep this is one of them’ - and if for some reason the headline is fine, we can guarantee the article has these problems lol. It’s actually often the use of multiple colloquialisms/synonyms/oxymorons in the one headline that makes it obvious haha... like ‘Flip to the Dark side as you bounce off to a trippy start with the new Star Wars game’ as a hypothetical example. Anyway... I have too much time on my hands - Might have to give this game (Shadows) a go, seems ok actually. wait,... "stylized"??? looks like the same dime a dozen "retro" pixel art to me.